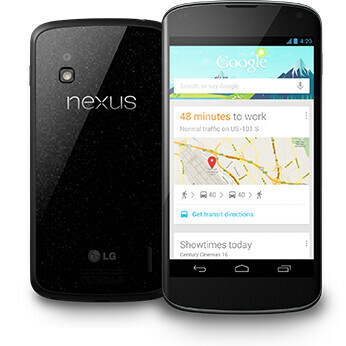 Without explanation, Google has apparently removed the factory image for the Android 4.2 powered Google Nexus 4. To refresh your memory, the factory image is the file you would use to return your phone to the factory settings if something goes wrong while you're hacking or modifying your handset. Considering that the factory images for other devices carrying Android 4.2 like the Google Nexus 10, Google Nexus 7, Google Nexus 7 with Wi-Fi and HSPA+ and the Samsung GALAXY Nexus have not been removed, there is something up specifically with the hard-to-find Nexus 4. 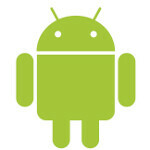 There is some speculation that the removal of the factory image has something to do with the dormant LTE radio that lies inside the Google Nexus 4. A hack has allowed those near a Band 4 (AWS) signal to have some LTE connectivity on the phone. If Google is planning to send out an update to block any LTE hack from working, the pulling of the current factory image would make sense. It is also possible that Google was feeling some heat from the FCC on this subject. II know a few people that aren't going to be happy with this.... Bad move Google, bad move. Bad move? I guess this signals an update is pending b-c there are many bugs. And I think LTE thing is not important as this is limited and can cause Google troubles with all the licensing stuffs. An update is coming, from what I've read. Some are having problems (battery drain is one of the big ones), so a polishing update is expected. Pretty standard for the Nexus line, and (based on a forum post on XDA), it has been confirmed by a Google rep. No idea on whether it would remove LTE. I'd guess that it's possible, and not a big deal either way. The cat's out of the bag, and custom ROMs will be able to add it back. Even then, just about every site I've seen has said that the Nexus 4's LTE is pretty bad. It kills the battery ridiculously quickly and is slow compared with other devices (because the antenna and amplifier weren't really put into the device with LTE in mind, and they just happen to work). If AT&T wasn't happy with the prospect of unwashed masses of Nexus 4 users polluting its pristine LTE pipelines, that could have impacted the decision to pull the factory image as well. Personally, I suspect the FCC angle is the motivating factor. No certification of the LTE radio means an un-authorized device. FCC takes a very dim view of un-authorized devices. It will not matter as there will still be a way around it. They should recall the entire 4.2 update, what a waste. What they did to the camera and lock screen, simply, sinful.